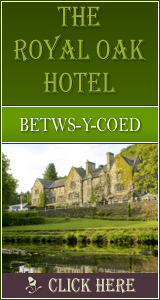 Rowen: Accommodation, Attractions, Activities, Going Out, Shopping, Things to Do, Places of Interest, Outdoors, Rowen Holidays, Rowen Area Location, North Wales. Across the river is the hamlet of Rowen, with its white washed cottages it is one of the prettiest villages in North Wales. A steep climb from the village takes you along the Roman Road, passing close to many sites of historical interest including the Maen-y-Bardd megalithic burial chamber. Snowdonia holidays - Self Catering Holiday Accommodation in North Wales Snowdonia, Conwy Valley, Slate and copper mines, Historic castles. Maen y Bardd, Neolithic Burial Chamber in the Conwy Valley, North wales, pictures and location Tourist Attraction in Rowen. Conwy Valley Tourist Information Guide A tourist information and accommodation guide to one of the most beautiful regions of Wales, the Conwy Valley.